The SOMA Official Branded Cotton Dust Cover in White is a protective cover designed for use with the SOMA Lyra-8 Synthesizer. The durable, stylish cover helps to protect your synth from dust and other unwanted particles, helping to keep your synth clean and presentable. The sleek black finish features the SOMA logo on the top of it. The custom-designed cover is ideal for storing your synth, with its soft cotton material ensures no abrasion when putting the cover on or taking off. As musicians we rely on our instruments so it is extremely important we protect them. 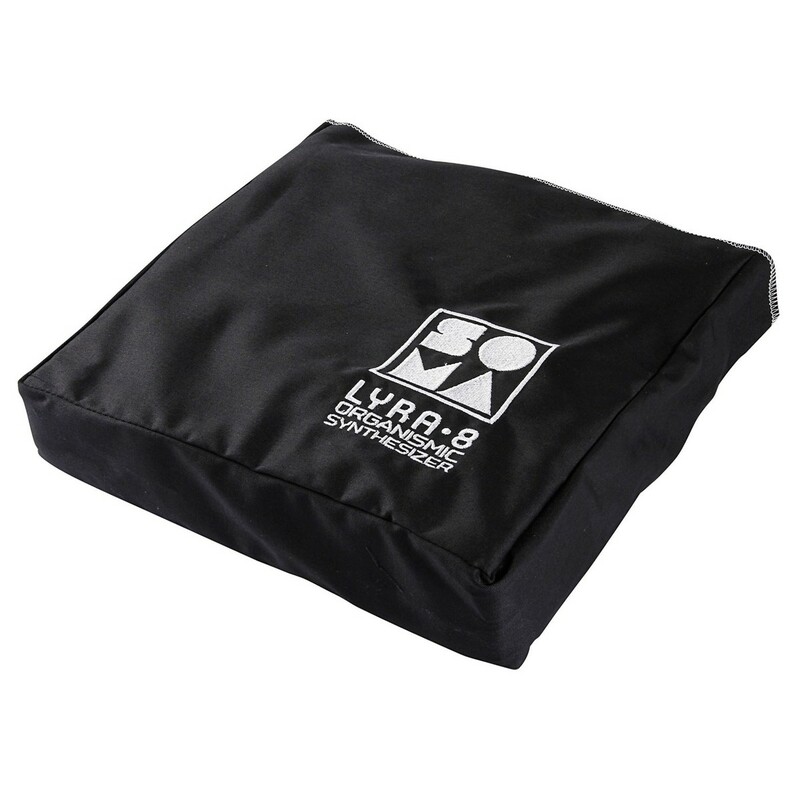 The official dust cover from SOMA labs protects your Lyra-8 from dust and scratches. Designed especially for the Lyra-8, the fit is snug and the cotton inner means that you won't scratch when putting the cover on or taking it off.